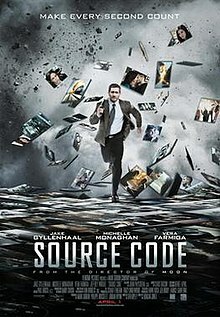 Source Code is a 2011 American-French science fiction thriller film directed by Duncan Jones, produced by Mark Gordon, Jordan Wynn, and Philippe Rousselet, and written by Ben Ripley. 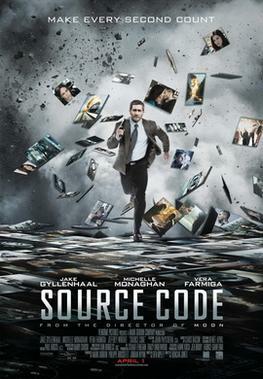 It stars Jake Gyllenhaal as a U.S. Army captain who is sent into a computed reality to find a bomber; additionally starring Michelle Monaghan, Vera Farmiga, and Jeffrey Wright. The film had its world premiere on March 11, 2011 at South by Southwest, and was released by Summit Entertainment on April 1, 2011 in North America and Europe. The film received acclaim from critics upon its release and became a box office success, grossing over $147.3 million worldwide. Plans for a television adaptation at CBS were announced shortly after the film was released. However, these plans were scrapped in December 2014 in favor of a film sequel. The sequel is in development with Mark Gordon returning as producer and Anna Foerster added as director.